With three wins out of their first four games, Columbus currently sit on top of the MLS. With only six Major League Soccer matches this weekend due to international fixtures, the biggest stories came from the Eastern conference table. 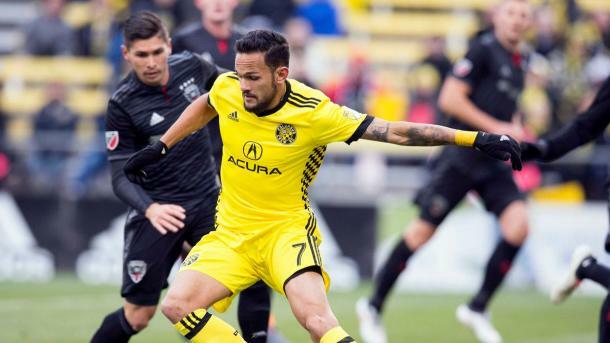 Columbus Crew SC earned their third win out of four so far this season and the New York Red Bulls bounced back from their poor showing last week. Columbus 3 - 1 D.C.
All the goals in this game came in the first half and both teams had great chances to open the scoring before the opener came. Federico Higuaín picked up his 50th MLS assist in the 20th minute when his pass found Milton Valenzuela who took a touch before slotting the ball home, giving the Crew the lead. D.C. United responded with a goal of their own when Luciano Acosta slotted the ball to an unmarked Yamil Asad in the 30th minute and the Argentine placed a lovely effort into the far corner of the net from the top of the box. Higuaín was at the center of Columbus' second goal when his corner found Ricardo Clark who duly nodded the ball past the goalkeeper's dive. Pedro Santos got his goal in the 42nd minute, ensuring all three points for Columbus. Federico Higuaín continues to be one of the best players in the league and his performance this weekend emphasized that. His ability to pick out teammates from set pieces and open play, as well as being able to control the tempo for his team was all on full display this weekend. If Columbus make the MLS Cup final this year, Higuaín will be at the center of that journey. D.C. United are still winless this season and their performance against Columbus was not encouraging. The team is clearly able to score goals with the talent at their disposal but the problem is their inability to keep clean sheets. That has to change if they want to move further up the table this season. Jesse Marsch asked for a response from his team and he got exactly that when they put in a strong showing to beat Minnesota United FC by three goals to none. Alex Muyl kicked things off with a brilliant run and finish in the 15th minute that saw him score from an acute angle. The Red Bulls then made it two in the 42nd minute when Tim Parker's nod on was flicked over the goalkeeper by Bradley Wright-Phillips. Daniel Royer thought he had made it three in the 45th minute but his goal was called back due to the offside flag. In the second half, Muyl turned creator when his long range through ball found the run of Wright-Phillips and the NYRB talisman had no problems cooling chipping the goalkeeper for his second. Minnesota had a small window to capitalize on NYRB's slow start to the game but once Muyl put the home side ahead, you knew it was going to be a tough afternoon for Minnesota. 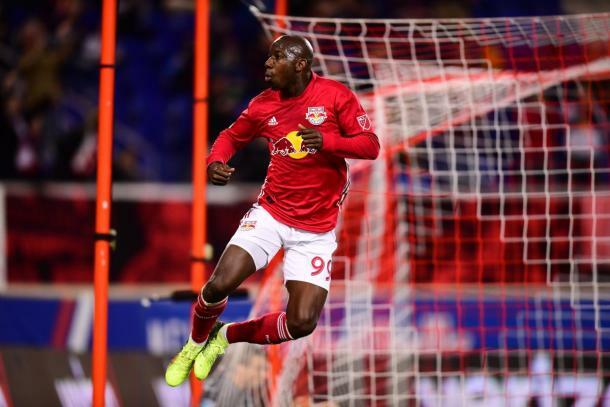 For the Red Bulls, seeing BWP back in full flight will make their fans very happy. Wright-Phillips had a slower start to his 2017 MLS campaign so this faster start to the season will be welcome viewing to Marsch. 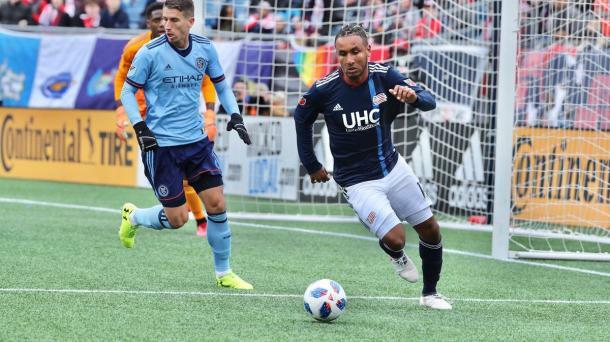 New England Revolution 2 - 2 New York City FC: Most people expected a tough game for NYCFC in New England as they never seem to do well there and that was the case this weekend. The Revolution took the lead twice through Diego Fagúndez and Juan Agudelo but Ismael Tajouri helped NYCFC claw back the lead on both occasions, leaving both teams with one point each when the final whistle blew. Colorado Rapids 2 - 2 Sporting Kansas City: Sporting KC are scoring goals for fun but they're also conceding goals at just about the same rate. That was the case this weekend against the Rapids where both teams battled it out to a draw. Diego Rubio's stoppage time equalizer completed Sporting KC's comeback after Dominique Badji and Joe Mason had put Colorado two up early in the game. Felipe Gutiérrez got one back for the away side in the 57th minute and they left it late before Rubio came in with the late game heroics. FC Dallas 1 - 1 Portland Timbers FC: Portland picked up a big result this weekend against FC Dallas who were on a roll. Roland Lamah gave FCD the lead in the 36th minute but Sebastián Blanco put Portland back on level terms just after the break. Portland hung on after going down a man later in the second half for their first point this season. Vancouver Whitecaps FC 0 - 0 LA Galaxy: Vancouver should have come away from this game with all three points. Instead, a severely depleted Galaxy side held their own away from home and came away with a respectable draw. With the signing of Zlatan Ibrahimović, the Galaxy will hope to move up the table shortly.